Bathrooms represent one of the most valuable places in any Annapolis home. While not as “open” as kitchens, they are still a place where residents will spend a majority of their time. This means that renovating a bathroom can often improve the entire home. Let’s examine some bathroom remodeling trends to watch in 2016. These may be just what you need to make your bathroom into something spectacular, modern and comfortable. Many aging bathrooms have cabinets, shelves, and countless other places for clutter to collect. This represents wasted space and can detract from the overall aesthetic value of a bathroom. 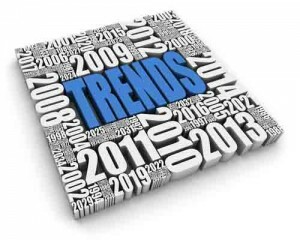 One of the prevalent remodeling trends for 2016 will be a return to function. This focus will allow form to follow after function, which in turn will reduce the overall amount of clutter bathrooms experience and make bathrooms more appealing. This means the primary goal of your remodeling should be to provide function in your bathroom, which is a goal that a larger sink or more comfortable commode can help reach. A plumbing professional should be utilized to ensure that your new renovations are installed properly. Metal fixtures offer a simple way to increase the glamor and overall aesthetics of your bathroom. Two avenues exist for this trend: rustic and polished metals. The former allow for a more “homely” and comfortable feeling to your bathroom, while polished metals can help your bathroom feel more spacious and modern. Both of these types of fixtures can and should be installed with the help of a reliable plumbing professional. Doing so will help to reduce the prevalence of leaks, which in turn will reduce unwanted side effects like rust and ensure that your fixtures are efficient on water usage. Water-efficiency is something that has been a focus of bathrooms in recent years. This trend will continue into 2016. Low-flow toilets, water-efficient showers and water-saving faucets are all things that a plumbing professional can help you install. The heightened efficiency of these devices combinedwith a proper, leak-free installation will help make every drop of water count. Other components of your plumbing can be upgraded to be even more efficient. These can include on-site electric water heaters, leak-free tub plugs and replacing seals to further increase water efficiency– which means a lower Annapolis water bill. To make the most out of your bathroom in Annapolis, MD contact Heidler Plumbing, INC by calling (410) 268-7191.